Two wine tastings in a day? Challenge accepted...! 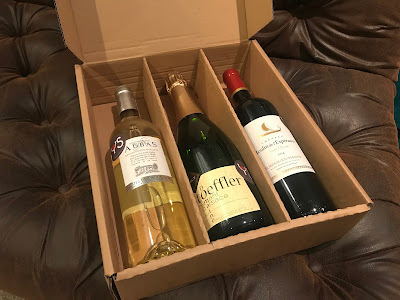 Last Thursday I had the day off from my day-job, which was exceedingly fortunate as I had received invites to two prestigious wine tastings that day. They were very different affairs, but I enjoyed both tremendously and as is always the way with these kinds of tastings, I learned a heck of a lot (plus I got to drink some delicious wine!). 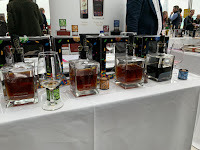 The first tasting of the day was held in the rather splendid H Club in London’s Soho. H Club is a private members’ club that specialises in catering for members of the creative arts industries. As you would expect the building is stylishly laid out and features a number of rather lovely looking bars and restaurants for people to wine and dine customers and hold business lunches. The tasting that I was there for was held in the “Forest Room”, which was a rather attractive looking room with a forest motif around it and tables set up which contained 92 different wines to taste from the Côtes du Rhône (CdR) appellation. 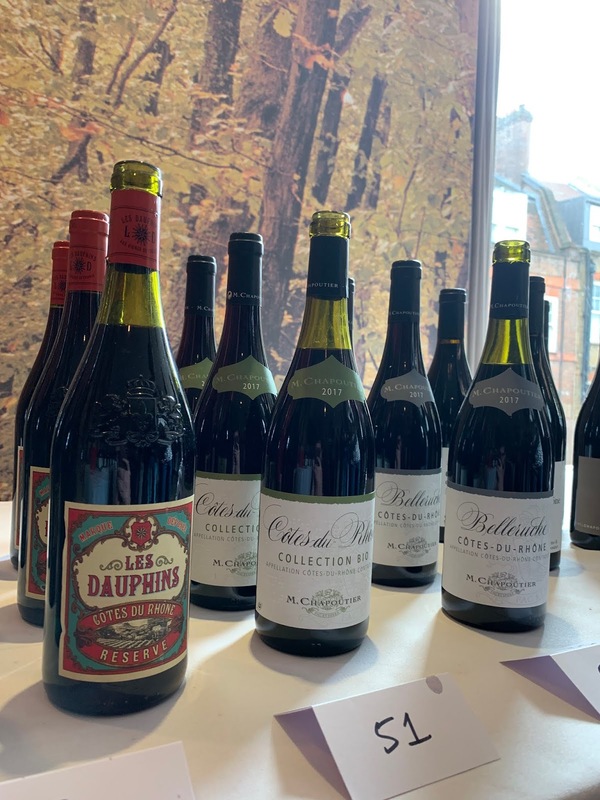 This includes both wines that feature the CdR general designation and also some wines from named villages within the Cotes du Rhône area. I love these kinds of tastings. They are free-pour, which allows you to choose what you want to taste and you get to work your way around at whatever speed you see fit. 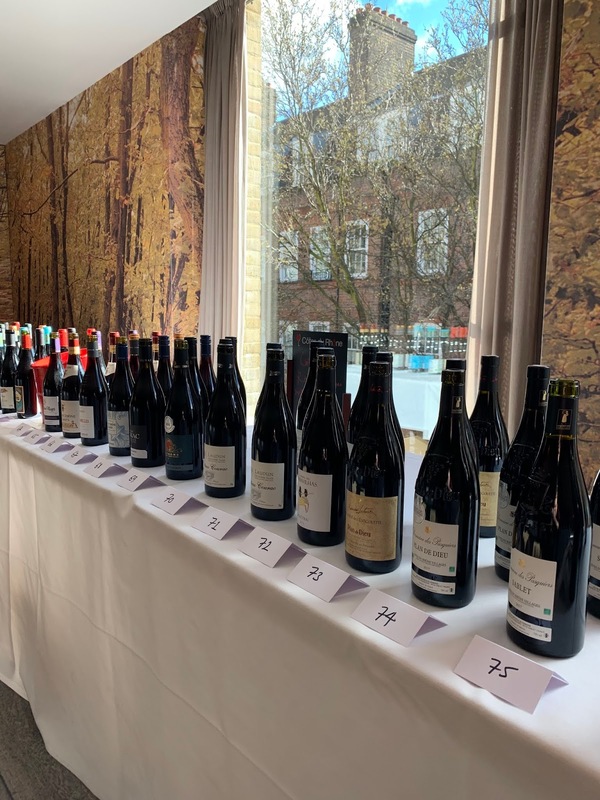 Obviously, if you are going to taste your way methodically around these wines you will need to spit, which means that you often find yourself in a queue at a spittoon - although fortunately there were plenty around for the tasters to use. I started with the whites and was really impressed with the quality. I was (unwisely) a little wary of whites at this level of designation, but I knew that at the mid- and top-level Rhône whites can be fabulous; so I was intrigued to see what these wines would offer. Overall these wines were priced between £5 and £15 and represented tremendous value, they were a real joy, particularly at the price point. Lovely acidity and fruit flavours (mainly juicy lemon and apricot), with some real weight to the wines. Not particularly seeing much evidence of oak and buttery flavours, but more with a depth and balance of flavour. 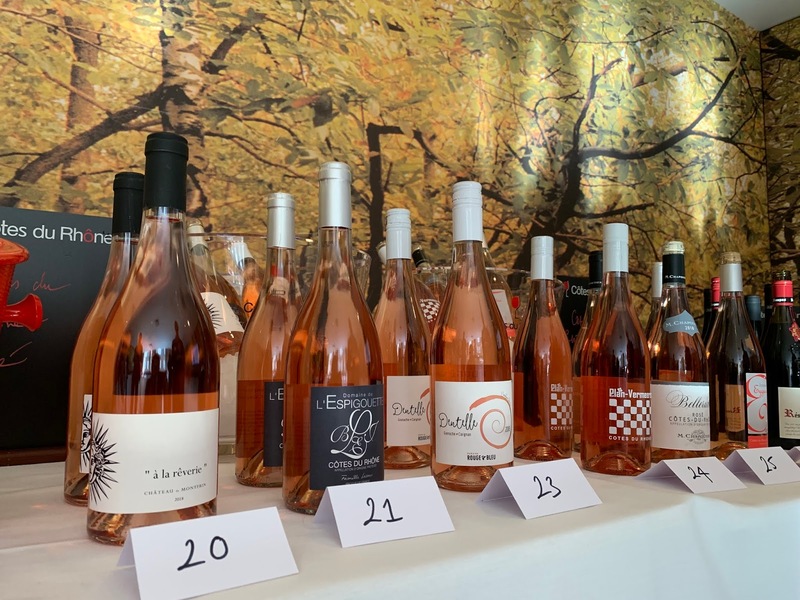 After the whites, I moved onto the rosés - there were only a few on show and I found them to be rather pleasant and rather serious wines. 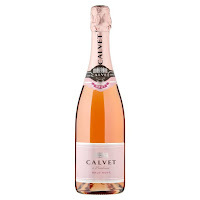 There are some rosés that are a little wispy, dainty and thin; designed to be quaffed in a pub by the bucket-load. These weren’t that kind of wine, they had a bit of presence and style and would have gone nicely with food. And now... time for the reds! 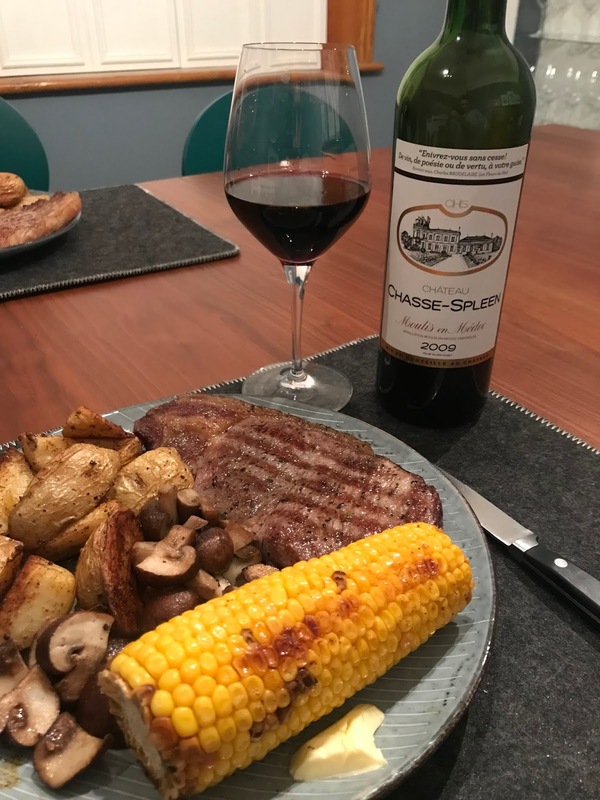 It was time to move on to the reds - there were much more of these on show over a couple of vintages. One of the things I quite like about these kinds of tastings is that it allows the relatively uninitiated (like me) the chance to learn a bit more about the wine world and one of the main things I was able to do was look at trends within my assessments of the wines. 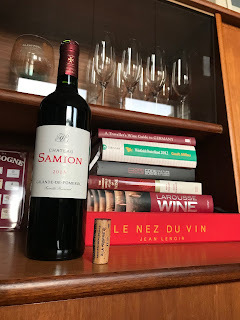 What became quickly apparent was that I was favouring the 2017 vintage over the 2016; I found the 2017s to possess well integrated tannins with nice, dark fruit notes but a savoury profile that gave the wines real structure and depth. In comparison the 2016s were a little shorter, sharper and more acidic; lacking a bit in depth and nuance. 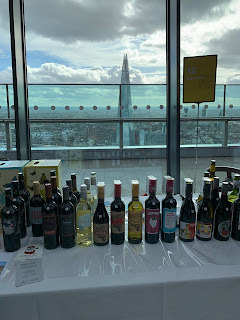 The other thing that really stood out is that in the (relatively) small number of wines at a higher price-point (in this case £15+) I found that there weren’t really any wines that stood out from some of the excellent wines that were being sold for £10 - £15. In terms of value for money, you were better off staying at the lower end - in my opinion. I must confess that my notes above lack any reference to specific wines as I misplaced my notes from the tasting on the way home. Fortunately I had written up some general musings on my ‘phone though! I must offer many thanks to Alexandra Gerolami who organised this event and kindly invited me along to. 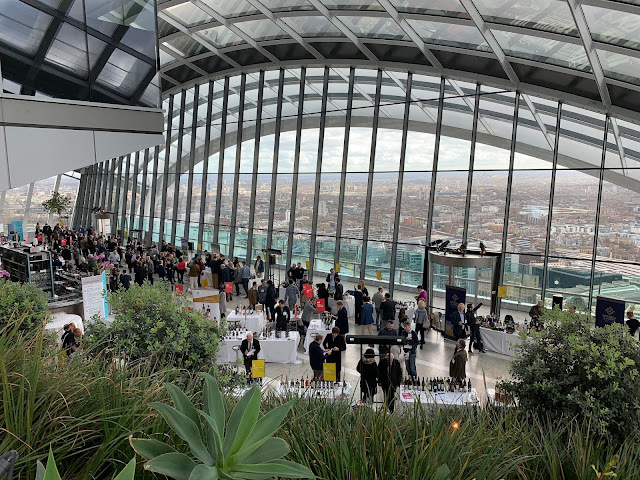 Next up was a trip to the very definition of a bar with a view - the Skygarden in the infamous “Walkie-Talkie” building for one of my favourite wine events of the year - Wines from Spain. The line up of producers that come and exhibit at this event gets better and larger every year and the organisers do a wonderful job. This is the first time, however, that they have held the event in Skygarden and it was also my first visit to this bar. I know that tall buildings in London are not everyone’s cup of tea, but once I was up there and looking out over the Thames and around London’s skyline it really is a breathtaking sight. What better place to enjoy a nice glass of something? I didn’t spend a huge amount of time wandering around the producers, but I did enjoy discovering some wines from Marques de Murrieta - one of the most historic Rioja producers. Their 2009 Castillo Ygay Gran Reserva was an excellent example of a Gran Reserva that is just entering its drinking window, but has years ahead of it. 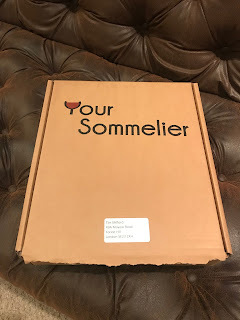 I was also intrigued by their 2014 Dalmau which contains predominantly Cabernet Sauvignon and is their attempt to create a “super-Rioja” in the vein of “super Tuscans”. I also enjoyed spending a bit of time with Altanza Bodegas, another Rioja producer but this time sampling their sherries made in collaboration with Roberto Amillo (Jerez). I particularly enjoyed their Colección R. Amillo Olorosoand Palo Cortado both of which were rich, vibrant and balanced. I also particularly liked the bottle designs that they used, which gave the wines a very distinctive look. 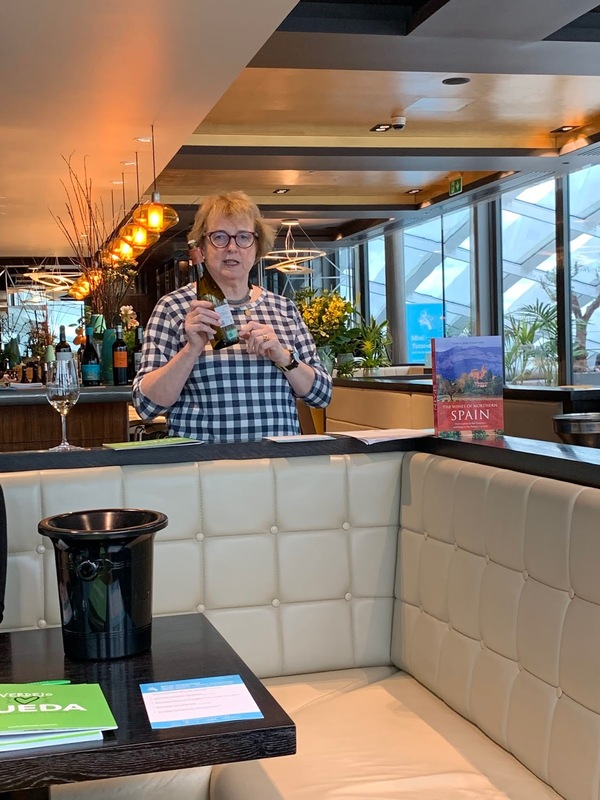 The main reason, though, I didn’t spend much time walking around the various producers is because I was very keen to attend one of Wines from Spain’s ever-excellent and informative masterclasses - this time from the inimitable Sarah Jane Evans MW on the wines of Rueda. I first met Sarah Jane when I went to Rioja last year for the Cata Estación last year and I knew that I’d be in for a treat with her masterclass. Rueda is an area that not too many people outside the wine trade will know too well - however it is the spiritual home of one of Spain’s greatest contributions to the wine world - the Verdejo grape. The people from Verdejo are on a bit of a mission to get their wines better recognised in the UK and it seems to be working as sales are up year on year for the last couple of years. 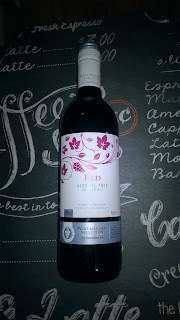 We tried our way through five different DO (Denominción de Origen) wines from Rueda but I want to focus on my two favourites. 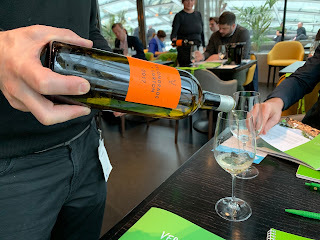 The first was a 2017 Belondrade y Lurton(100% Verdejo) which had a supremely expressive and floral nose that exuded class. 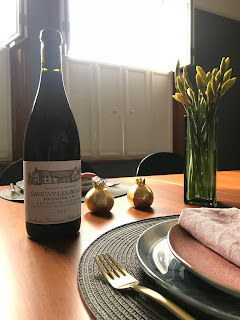 This wine had been aged in French oak and had a beautiful buttery characteristic (which contrasted some of the other, slightly more angular wines in the tasting). 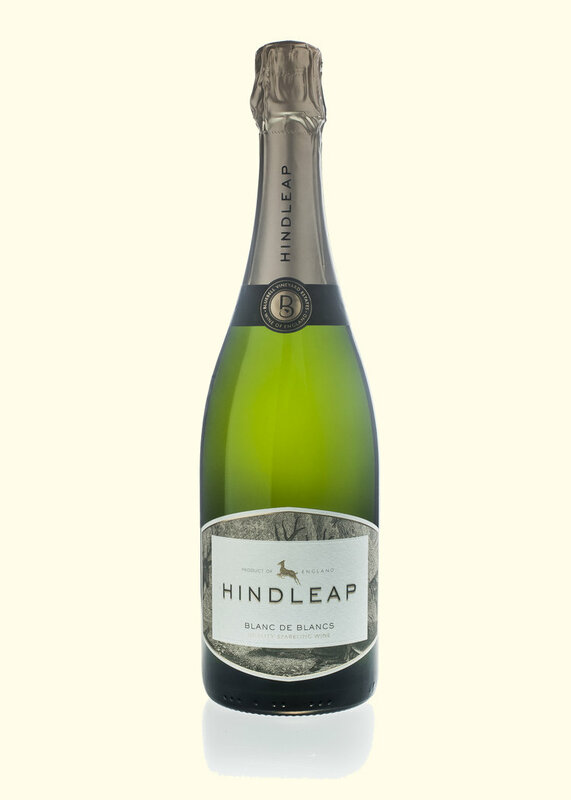 This wine will develop and evolve over the next couple of years - I certainly plan on getting hold of a few to see how they go! 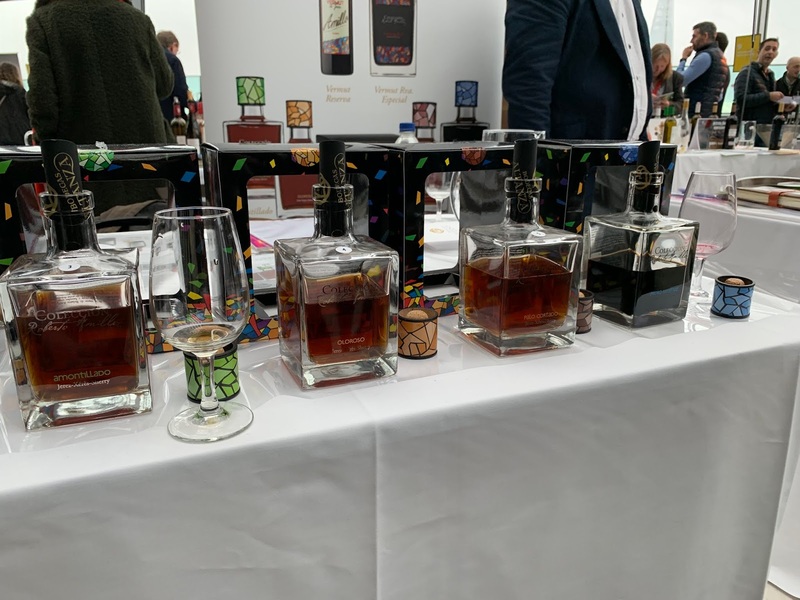 Now for something completely different (as they say…) with a NV Carrasviñas Dorado Ruedafrom Félix Lorenzo Cachazo which was largely Verdejo but importantly possessed 20% Palomino Fino which gave the wine a lovely oxidative nose that I adored as a sherry-lover. 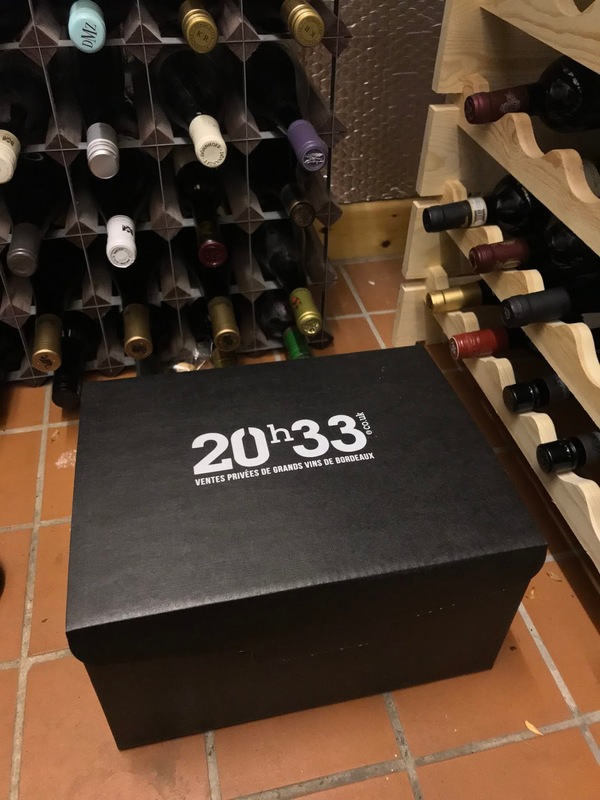 For me this was a wine that will divide crowds; I loved it as it felt like a half-way house between a traditional Verdejo and a Fino sherry - it would go beautifully with food, some nice olives or even some salted almonds. Mmmm…! Sarah Jane was as interesting and amiable a host as ever and I really enjoyed this tasting of some lovely wines. There you have it - two wine tastings done in a day. 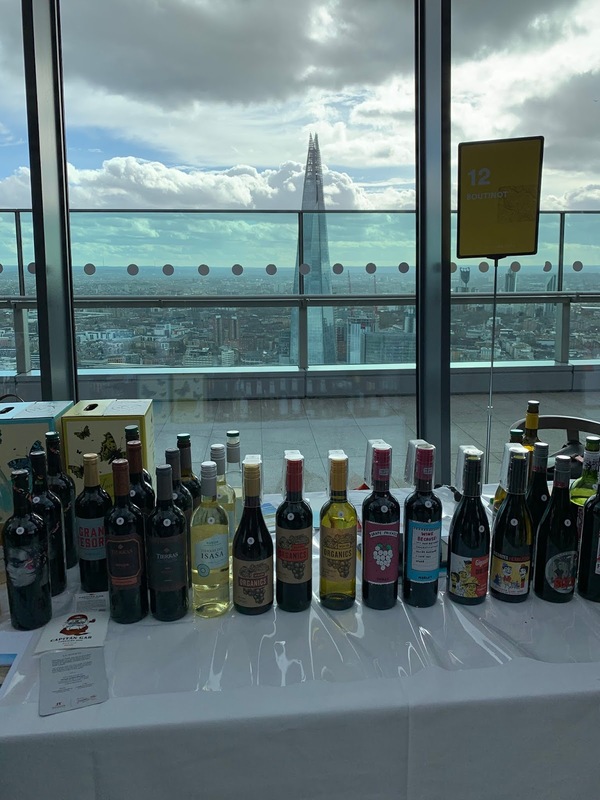 Lots learned, many lovely wines tasted. A reminder of why I love living in London so much. Open That Bottle Night 2019 - what did you open? For some people the last weekend in February is a rather special time. I am one of those people. 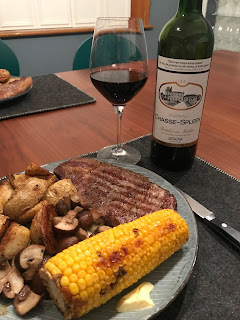 A couple of years ago I stumbled upon a wine-based concept that I fell in love with - Open That Bottle Night. Briefly the premise is that February is a dreary month and people need something to brighten it up. Two wine lovers who wrote for the Wall Street Journal, Dorothy Gaiter and John Brecher decided that they wanted to find a reason to open that special bottle of wine that you’ve been saving for a while. 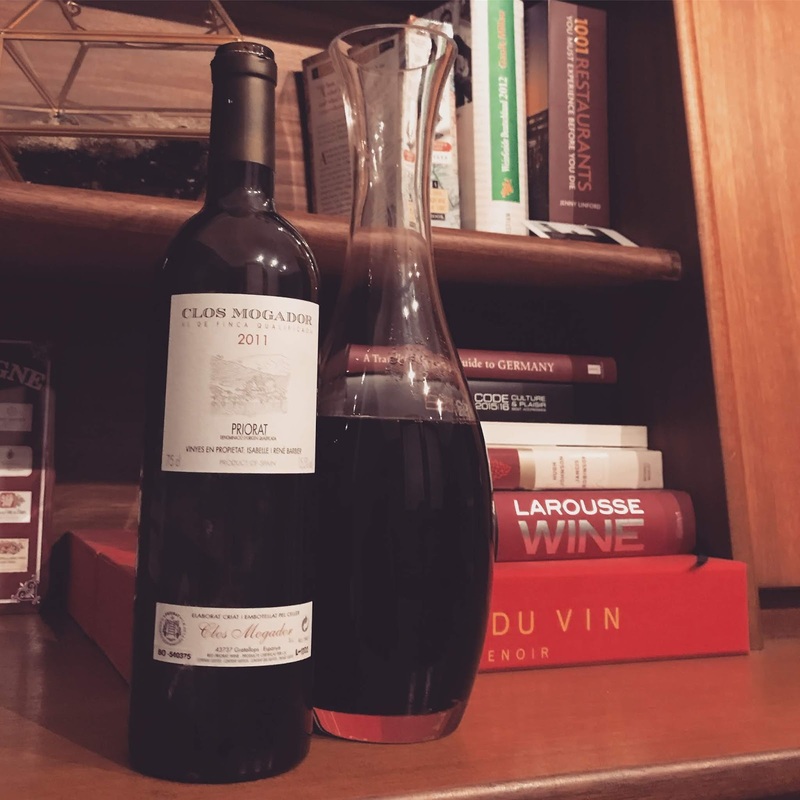 They told of stories of people who have been holding onto that bottle of ‘45 Haut-Brion and agonising over when was the right time to open this majestic wine and too often people held on to the wine too long only to find that it hadn’t been stored properly or that it had some kind of fault. Instead, to Gaiter and Brecher they felt that the bottle of wine that you have in your cellar should be the occasion; invite friends and family round to enjoy that bottle of wine in great company! I love the idea of this and have now done this for the last few years. 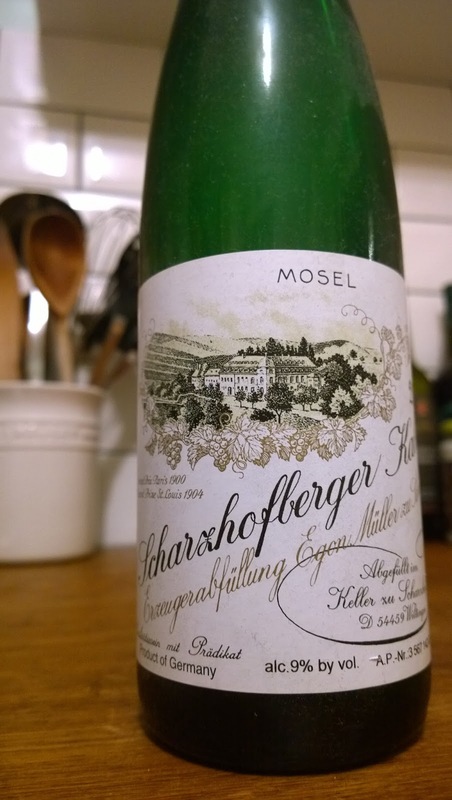 In 2016 I opened a bottle of 2012 Egon Müller Scharzhofberger Riesling Kabinett (Mosel, Germany). 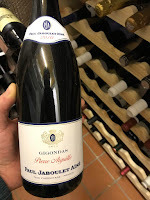 In 2017 I opened a bottle of 2012 Tignanello (Tuscany, Italy). So, what did I open in 2019 I hear you ask? I went back to Italy for my wine this year. 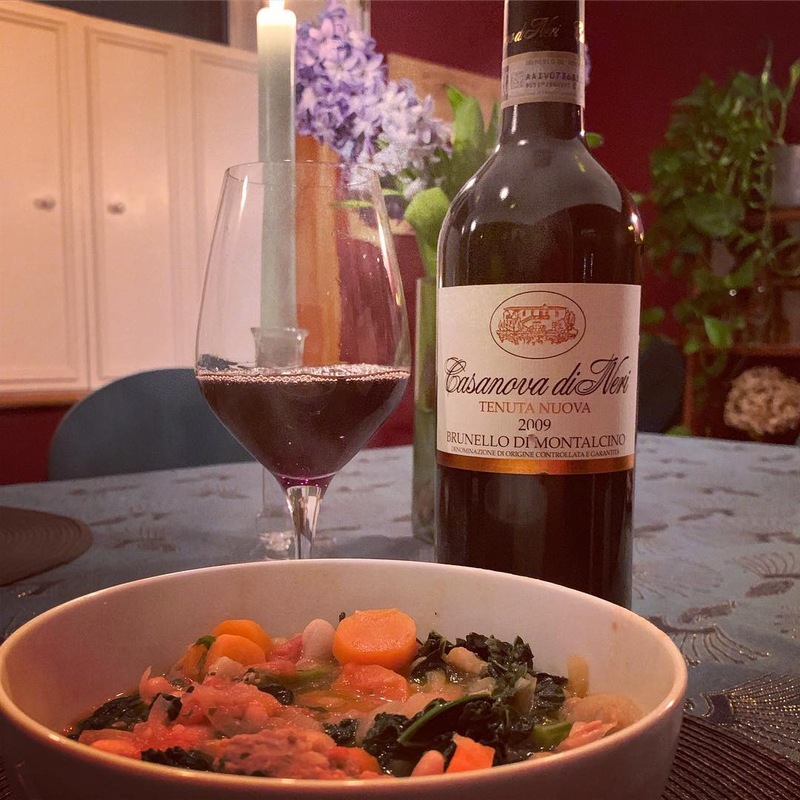 I had a lovely bottle of 2005 Muga Reserva that I was severely tempted by and a bottle of 2006 Pichon-Longeuville Baron that I was eying up, but I was surprised to find that I was instead drawn to a 2009 Casanova Di Nero Tenuta Nuova (Brunello Di Montalcino, Italy). 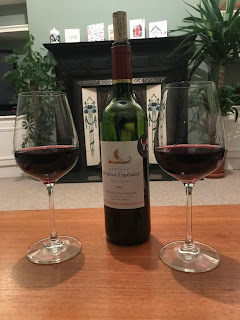 This was a wine that I picked up direct from the winery when I visited it in October as part of a walking holiday I went on through Tuscany - something that I can highly recommend (the photo on the left is on the way to the winery as you walk up the drive!). 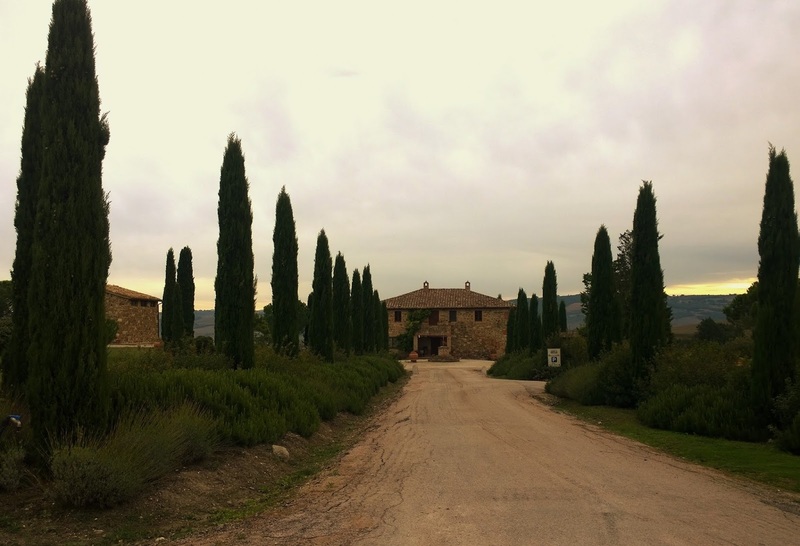 Very few places in the world truly excite the senses like Tuscany does, the food, the wines and the scenery are all absolutely phenomenal. We walked through the countryside that gives you Brunello di Montalcino (one of the very best red wines in the world, in my opinion) and that gives you Vino Nobile di Montepulciano. I wrote a piece for Vinspire on my experiences in Tuscany that you can read about by following this LINK if you are interested. So, enough of the trip down memory lane - tell us about the wine! 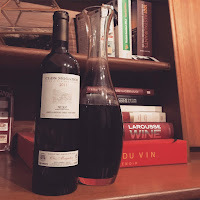 I decided to give it about an hour in the decanter as I wanted to coax it back to life; it had been sleeping for ten years after all. In the glass it had an interestingly murky appearance, with a kind of damson red to it. On the nose it was all I could have hoped for and more; it was fragrant and evocative. 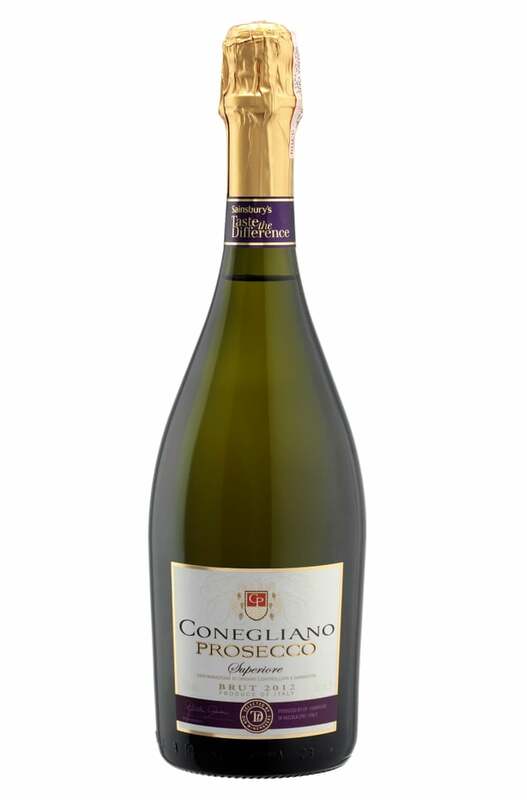 I noted primary aromas of "fruits of the forest" with blackberries and blueberries coming through particularly strongly. 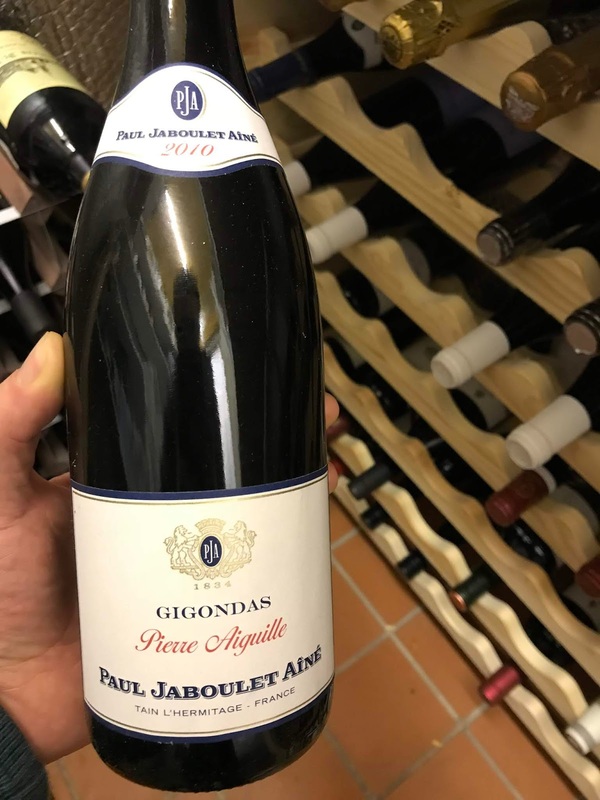 There was also definitely some deeper and more interesting notes of cedar, marzipan and tobacco that gave the wine a real majesty in the glass. When I tasted it I admired the beautiful freshness and cleanliness to the wine, which had a real poise about it. The tannins were nice, smooth and well-integrated, as one would expect from a ten year old wine of this type. 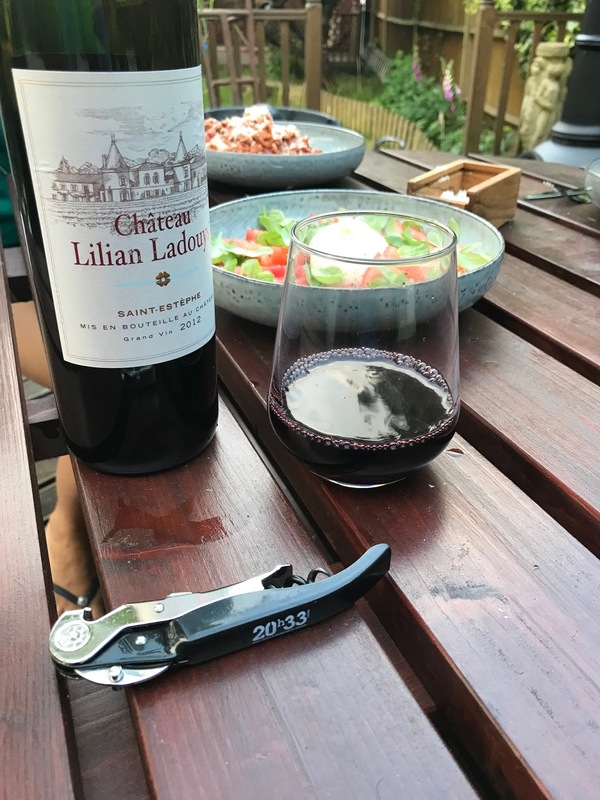 There were lovely dark fruit flavours with a nice lick of savouriness and smokiness to the wine that I enjoyed thoroughly. All in all this was a truly wonderful wine and one that was perfect for "Open That Bottle Night". 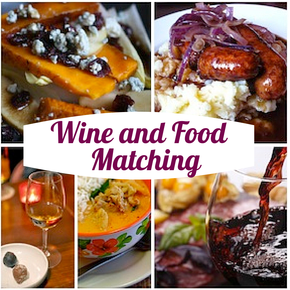 We paired it, appropriately, I think, with a Tuscan Sausage Stew and the wine was a great match for it. 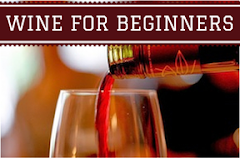 Did you drink anything special for "Open That Bottle Night"? If so, what did you drink? If not, do you fancy doing it in 2020? Start thinking about what that special bottle of wine could be and who you could share it with...! I may not have an ounce of Scottish blood in me, but I’m always up for a good knees up, especially one that involves whisky. While many people will be tucking into the haggis this Burns Night, you may want an alternative dish to devour while you’re mumbling your way through Auld Lang Syne after one dram too many. I won’t commit the mortal sin of calling this a pie when it’s a stew with a puff pastry top, that’s for the gastro pubs of this world to do. 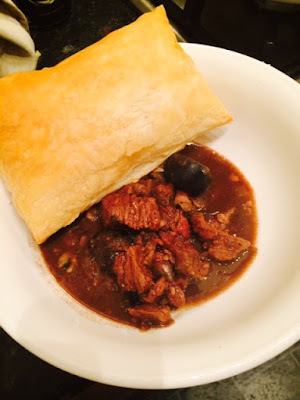 But it is a very tasty Highland stew with puff pastry top, and is the perfect dish to serve this Burns Night. 1. Marinate your beef in the stout, with the garlic and bay leaves for around five hours in the fridge, or overnight if possible. 2. Preheat the oven (fan) to 130°C. 3. In a large pan, heat the oil and butter. 4. On a medium-high heat, brown and seal the beef. Once browned, remove and set aside. 5. In the same pan, fry the bacon and onions until the onions are soft and translucent. 6. Stir in the flour and mix, then add the port, stout marinade, beef, and season. 7. Transfer to an ovenproof casserole dish, fit the lid, and cook for 2.5hours in the oven, stirring occasionally. 8. Remove from the oven and pop back on the hob, so you can cook your puff pastry tops. Halve the pickled walnuts and add to the stew, along with the pickling vinegar. Simmer for around 30minutes. 9. Add the chopped parsley just before serving. 1. Roughly chop the swede into large chunks and boil for 50minutes. 2. Parboil the potatoes for 10minutes in salted water. 3. Pop the potatoes into the oven with the stew for 15minutes, then turn the heat up to 200°C when the stew comes out and roast for 30-35minutes. 4. Drain the swede and roughly mash together with a decent amount of butter. If you don’t fancy a night on the drams, here are a couple of loosely-Scottish cocktails (they feature whisky), to get you in the mood. While rye or bourbon are the 'proper' choices for an Old Fashioned, it's Burns Night, so we're heading away from the whiskey and hitting the whisky. Granted, you're not going to want to use the Belvenie 50-year-old single malt you've all got lying around, but a smooth, clean, not-too-peaty, Scotch will work great. 1. Soak the sugar in the Angostura and begin to dissolve with a spoon. 2. Add a good handful of ice cubes and continue to stir. 4. Add around half the whisky and keep stirring. 5. Add the rest of the Scotch and stir some more. 6. Stir for another couple of minutes. 7. Garnish with a twist of orange peel. 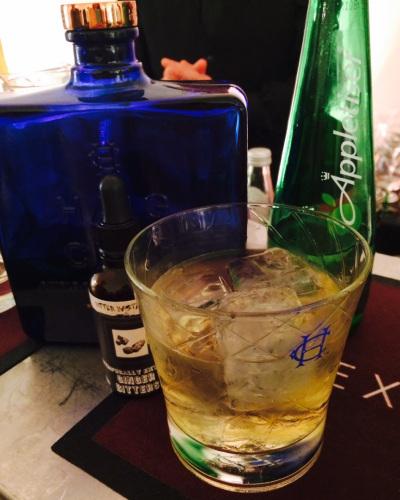 For those of you who might not be quite into your whisky yet, this is an easy, light, accessible drink to start with. 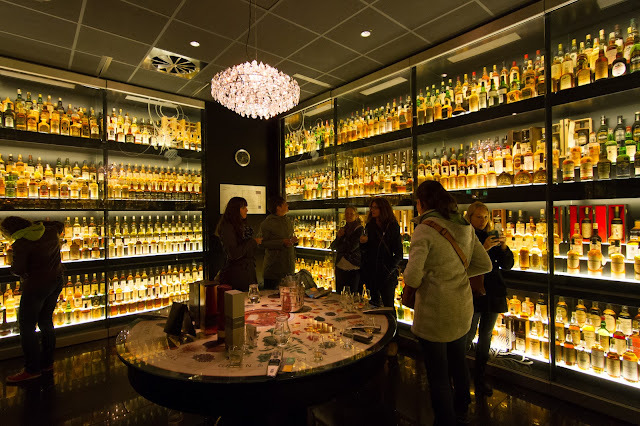 We can work you up to the Laphroaig in a couple of months...! Combine all the ingredients in a highball or tumbler, with plenty of ice, and garnish with a very thin slice of root ginger. How will you be celebrating this Burns Night? Hitting the haggis or using the night as an excuse to pull out that tasty Scotch? If you’ve been doing ‘Dry January’ and have actually stuck to it, then firstly, pat yourself on the back. Secondly, scream and shout because it’s nearly over (ish)! 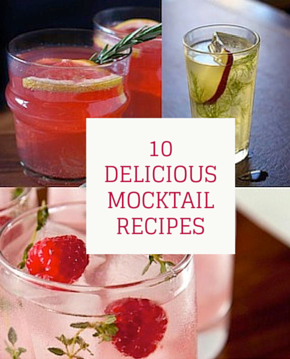 To make things a bit easier, we’ve rounded up the ten best mocktail recipes we could find. The key to a mocktail’s success is down to intrigue; you can’t shove an average cordial in a glass, top it with soda, and garnish it with a slice of lemon, expecting to be wowed. 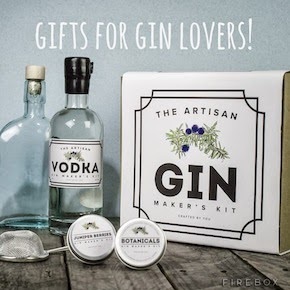 Sure, we don’t need booze all the time, and there are plenty of top-notch soft drinks around to tantalise the taste buds, but cocktails work due to the balance of alcohol, sugar, acidity and bitterness - you’re not likely to get that with just an elderflower spritz, are you? 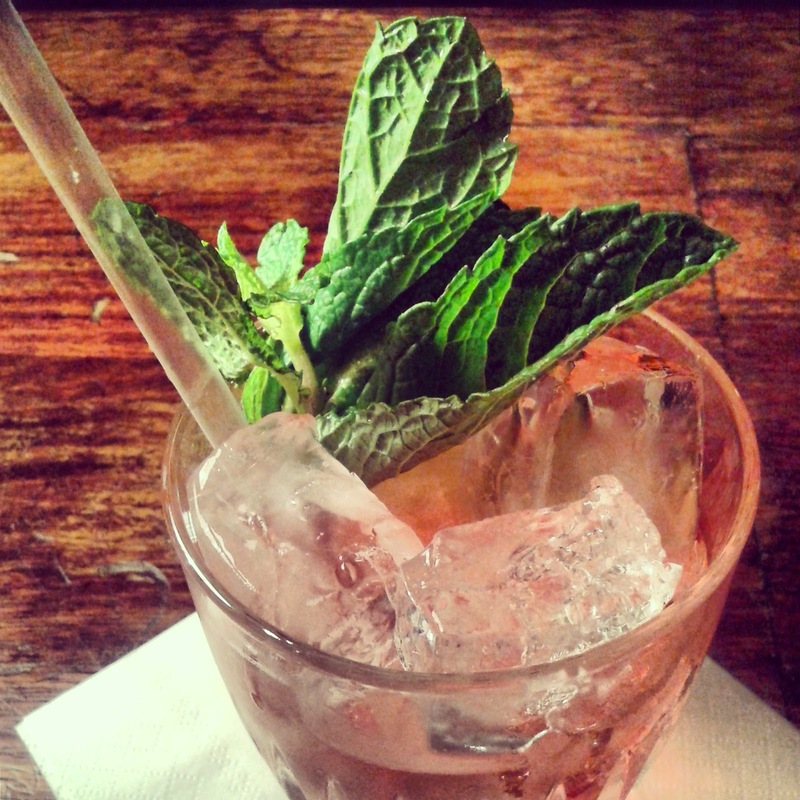 If you’re feeling like you’re missing out on all those lovely alcoholic delights that you keep seeing on Instagram, it’s time to get serious about mocktails. Fresh fruit, citrus and herbs are your heroes here, you want to be building your drink as you would a proper cocktail, and don’t be afraid to make your own syrups; they’re easy to do and will keep in the fridge for ages. 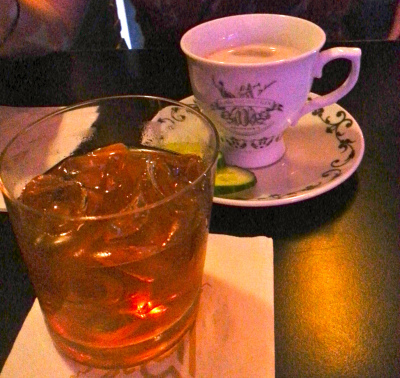 Just put in a teeny bit of effort before being able to smugly sip on something extra special... Your drunken pals will certainly be eyeing up your saintly glass! We’ll start with something deliciously fruity and classically British: strawberries. This floral fresh Strawberry Rose Water Fizz from Kitchenette Blog is simple but effective. 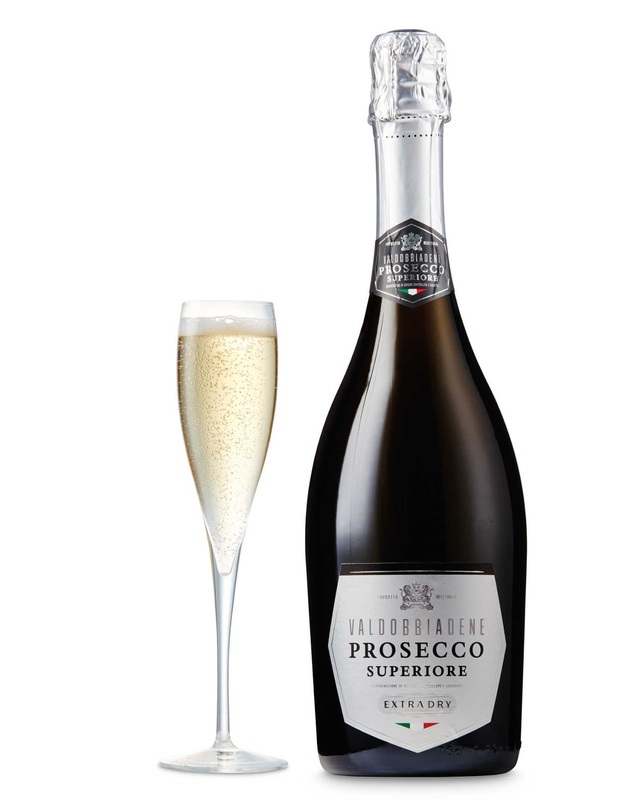 And if you love it, when it gets to February, try topping with prosecco instead of soda water. The Pink Panther from Nosh My Way is smooth, creamy and kind of retro. Strawberries and cream will always be a winning combo, but add pineapple into the equation and hello. 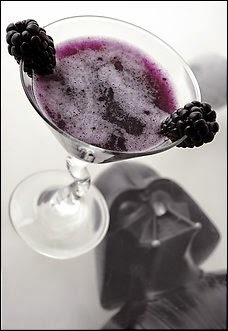 Another British classic - though a slightly more sultry - fruit, with its deep purple colour, is the blackberry. The Dark Invader from The Washington Post is so easy you could do it with a blindfold, though I wouldn’t recommend it; blackberry stains are pretty tricky to get out. Move over Mojitos, this Sparkling Cucumber Limeade from Taste and Tell Blog is limey, minty and super thirst quenching thanks to the cucumber. Can it be summer now? 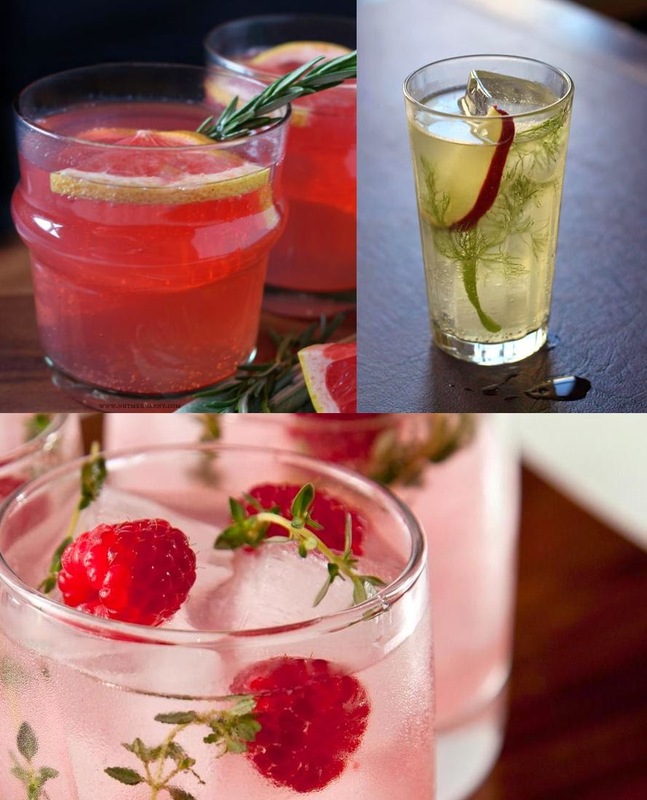 Sharp and sweet with raspberries, honey and lemon, the Spicy Raspberry Lemon Cooler from HGTV has fire in its belly due to its ginger beer top! Herbs are where it’s at with these next three. Nutmeg Nanny’s Grapefruit Rosemary Sage Spritzer is both bitter and aromatic, great for the usual gin drinkers amongst you. The Fennel Apple Spritzer from Saveur is a pretty swish, and the punchy flavours would go down well with food... Especially a bit of roast pork – yes please! And this Peach Melba Cooler from Chow has to be the prettiest pink drink around. Don’t worry though guys, the lemon thyme twigs make it a bit more manly. Sort of. 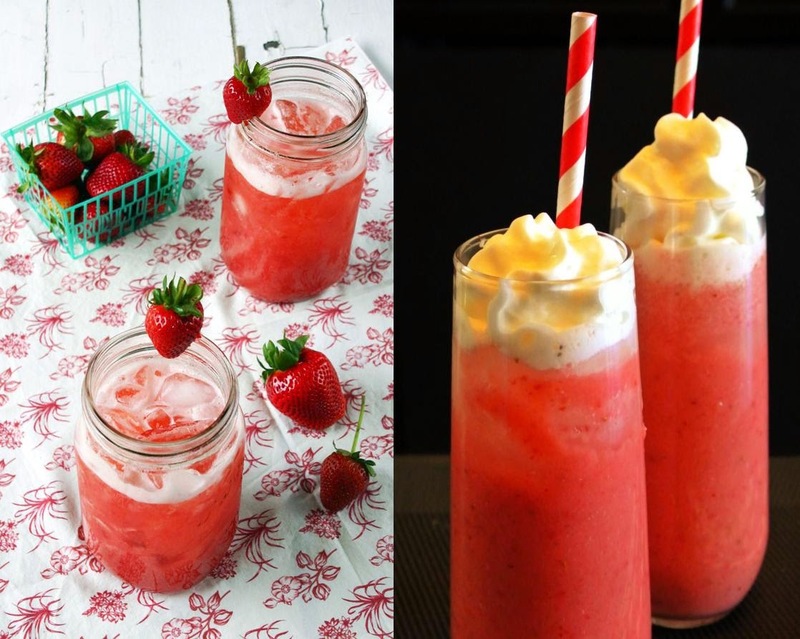 Finally, the indulgent creamy mocktails for any time that you require some comfort. 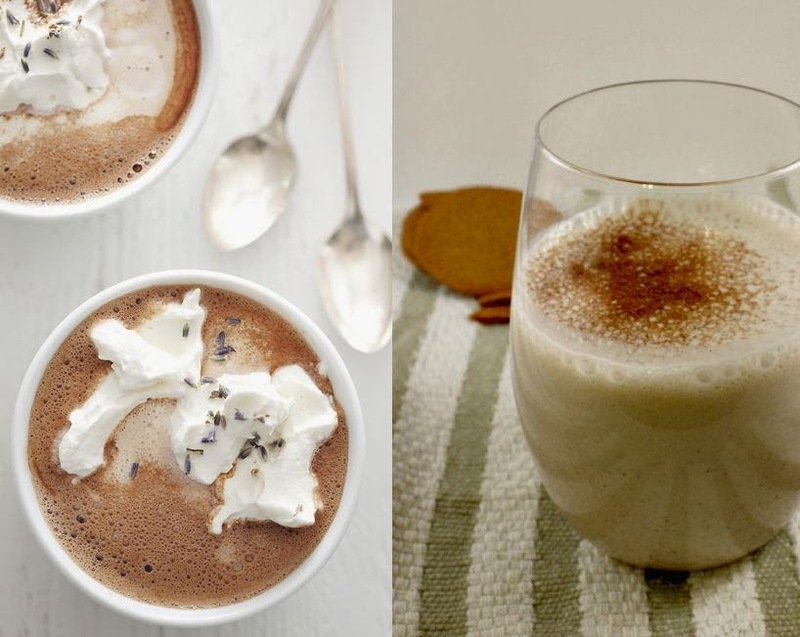 Lavender Hot Chocolate from A La Mode is a fragrant hug in a mug. You can buy lavender in the supermarkets now (with all the herbs and spices), but don’t over-do it or you’ll be in soap territory. Sweep Tight have come up with the awesome Coquito, with coconut milk, evaporated milk and condensed milk. Anything made with that dreamy milk is going to be frickin’ ace. FACT. 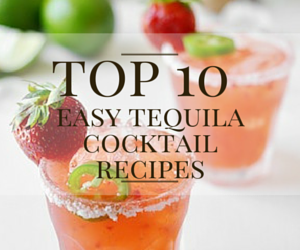 Now go and have some booze-free fun. Welcome to the second part of my guide to staying dry(ish) during the lean month of January. 2 weeks in and its been tough....So tough that I fell to pieces 1 week and 6 days ago, so rather than this being a 'Let's get through this together' piece, this is now a 'I feel your pain, but will not join you in your suffering' piece. That has not stopped me from searching out some other non-alcoholic alternatives to your Wednesday night tipple in front of the big match. I enjoy a good beer on a special occasion (Birthdays, Weddings, Tuesdays,..), so the hardest part for me was missing out on a nice tasting brew without the big percentage to go with it. 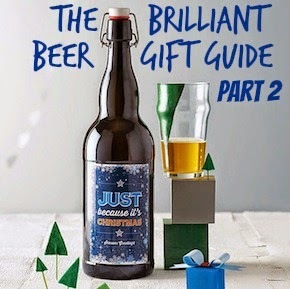 With it being the season for abstention, there are so many low and non-alcoholic beers on the marketplace to choose from, finding one wasn't going to be a problem. Finding one with flavour, bite and refreshment within the liquid could have been. Exactly like alcohol-free wine, non-alcoholic beer starts off as the real deal. The grain is steeped in hot water, sugars extracted creating the wort (sugary liquid). The hops are added with other spices to balance out the sweetness of the liquid with the bitterness of the hops. Yeast added, this starts converting the sugars to alcohol. The difference is that rather than alcoholic brews being bottled/canned/kegged, the newly created beer is heated (to boil the alcohol away) through 'vacuum distilling' so as not to alter the beautiful beery flavour too much. First up to face the bottle opener was the Erdinger Alkoholfrei 'beer' (available at beersofeurope.co.uk for £1.64 a bottle). I put the beer word in inverted commas as its technically not a beer at all, but an isotonic drink that looks and pours like a beer. The problem I've always had with alcohol free beer is that it is too sweet, and this also has a tinge of sweetness, but not overly so. It really does have elements of Weissbier, that slight grainy and wheaty taste and a very full and creamy texture. 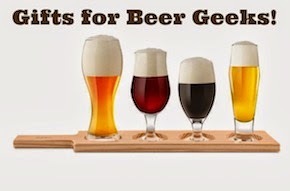 I would go as far to say that you could slip one of these into a Wheat Beer drinking fest and not notice that you had a 'ringer' in the midst. Next was the San Miguel 0,0% Limon (available at Ocado, £3 for 4). 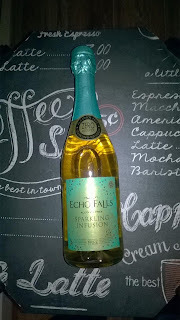 The Lass persuaded me to grab this one, as she is fervently following the Dry January concept. San Miguel isn't really my tipple, but I have tried the 'added Lemon' fad with beer before and not found it too bad (Fosters Radler isn't a bad summery drop). This wasn't really my drop. Tasting slightly like cooled down Lemsip, you get bashed with a smack of sweetness and, although it is refreshing, it's just too artificial for me and you may as well be downing a pint of Lemonade. 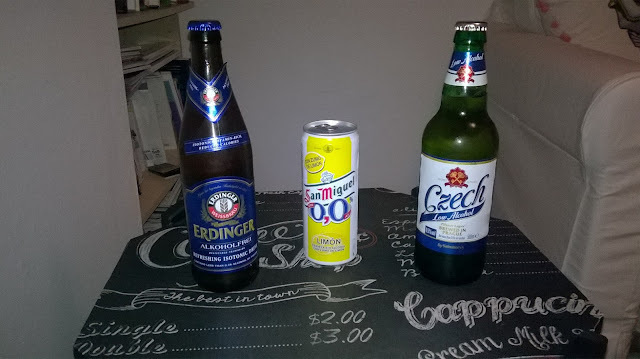 Last in line was Sainsbury's own Czech Low Alcohol Pilsner Lager (£1.20 a bottle from Sainsburys). Now I know this isn't an alcohol-free beer, but I had heard really good stuff about this and at 0.5%, its still considered low alcohol, so I shall include it (na, na, naa, naaa, na...). I wasn't disappointed. Made by the Staropramen brewery, I like their own brew and this one is just as good. Clean, crisp, it has the sharpness you want from a lager and still has the slight bitter kick of a fully hopped version. So, having tried both alcohol free wines and beers, I have to say that I am impressed with how similar some of the examples I have tried are to the real thing (or at least have crammed in some flavours that stop you from wishing they were). Is it enough to get me to quit the drink permanently? Evidently not from my statement at the start of this article. I am coming from a slightly biased point of view (as I obviously work in the industry), but my mantra has always been 'Drink less and Drink Better'. 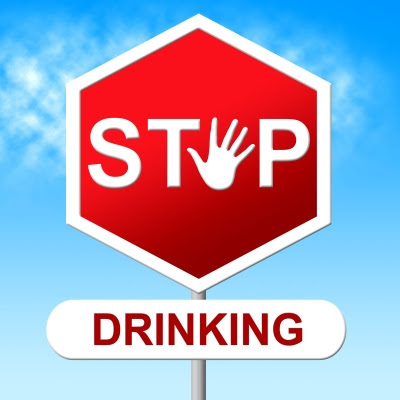 Binge drinking is always a bad idea, but if people feel they have to give up having a drop of the good stuff for a whole month to 'give their liver a breather', then they are really telling themselves that they are drinking too much in the previous 11 and feeling guilty about it. What is your opinion of the alcohol-free drinks market? 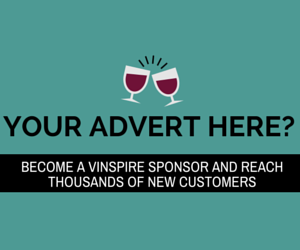 Have you tried any that would recommend to Vinspire readers? Comment on our twitter page or on our facebook page! 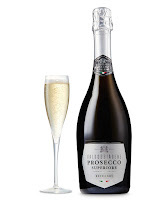 As the last bong tolled on Big Ben at midnight 31st December, 2018, many of you lovely people would have greedily been tucking into something tasty and boozy to welcome in the New Year. 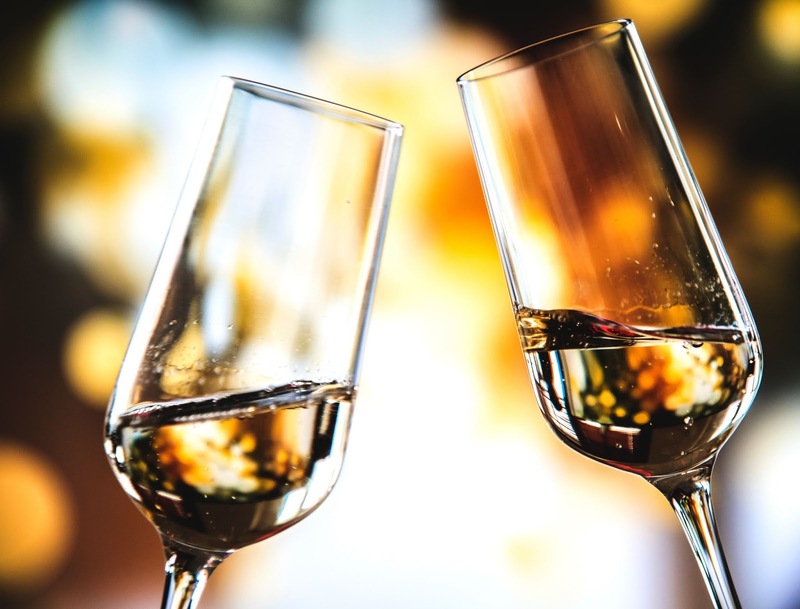 What you may have also been doing is saying goodbye to your beloved companion Alcohol for January; your partner through the good times and bad, the devil (or angel) on your shoulder guiding you through life's tricky decisions such as "I know I'm at work at 6am tomorrow, but should I really leave the bar yet? Nah..." or "Karaoke is definitely my bag, but will one more glass of plonk make me better? Damn right it will!" 'Dry January' has become a phenomenon that is really taking hold. As people shudder at the excesses that come with a bit of time off from work at Christmas and the excuse of over-eating and over-drinking, the charity Alcohol Concern and the government joined together to push the idea of giving up the booze for 31 days, in order to get the population to think more about their consumption and the effect it can have on them. Now, not being one to be tight-lipped on questions of drink, I have my reservations with regards to it, which I'll come to later, but rather than give up in its entirety (even smokers have to have something minty to chew on to munch through the cravings), I have decided to see if there is something on the market out there to fill in the gap of 4 weeks where many of you will be abstaining and waiving the hand of 'no thank you'. 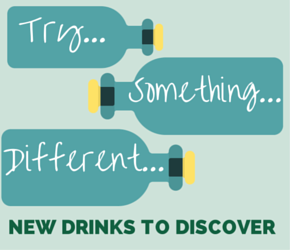 Over two articles, I'm going to try some of the alcohol-free alternatives that you can get on the market at the moment (and I'm not doing a taste test on different flavours of Fanta, if that's what you think...). First off, me and The Lass (who is content to push alcohol to one side for January) popped the cork on Echo Falls Tisane (available at Asda for £3 a bottle). 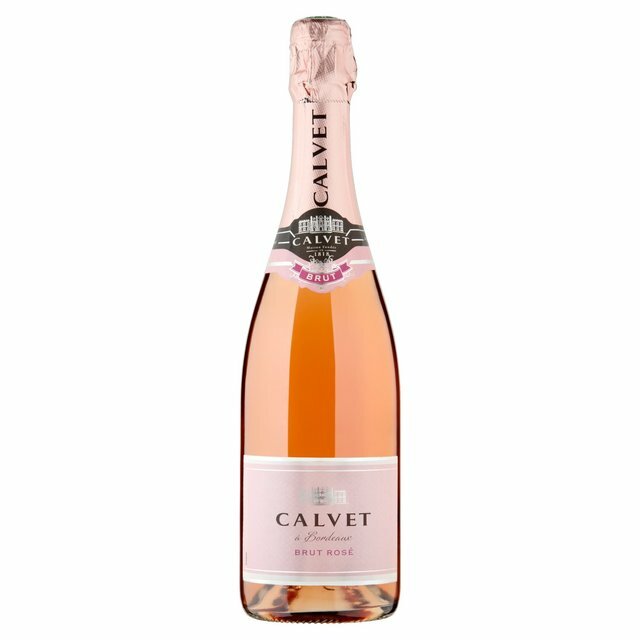 The USP with this is that even though it technically contains 10% grape juice concentrate, it looks like a proper sparkling wine and even smells faintly of a Cava-like drink. A bit citrussy, and a bit herby on the nose (it is infused with Green Tea, mind, so I'd hope it should do), it looks a faintly like apple juice in the glass. Tasting-wise, it isn't bad. Lively stuff and it has a clean taste. Nothing like the real thing though mind. 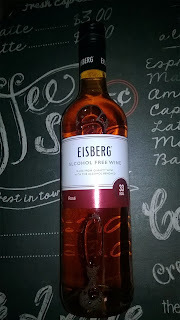 The following day, we consumed Eisberg Alcohol Free Rose (available to buy in Morrisons for £2.75). We'll start with the good point. 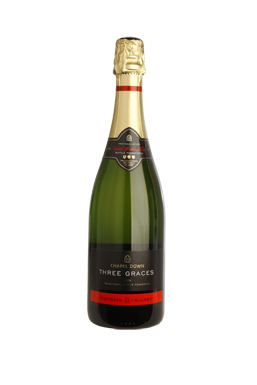 Marketed at only 33 calories per glass, it seems to be the perfect tipple for the staunch Dry January-er. Unfortunately, the bad points seem to pile high. It has a slightly oxidised pink look to it, like someone has diluted crab paste. It smells of jelly babies and has a real sweetness on the taste. The taste isn't unpleasant, but it has a slightly fishy aftertaste. Not for everyone. 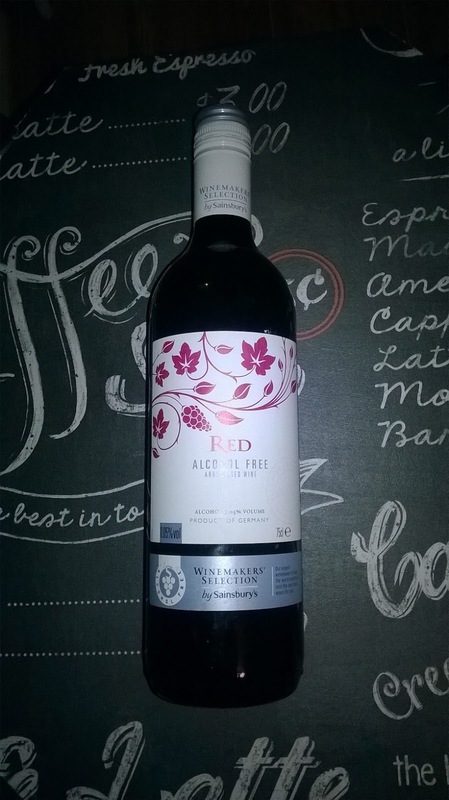 To finish off, we then tucked into Sainsbury's 'Winemakers Selection' Alcohol Free Red (on sale at Sainsburys for £3). What I found startling was how sweet the wine was. After having a sly butchers at the label, I saw that it has 7.5g of sugar per 125ml glass! Fine if you are trying to avoid the booze, but not so great if you are trying to keep the calories down. 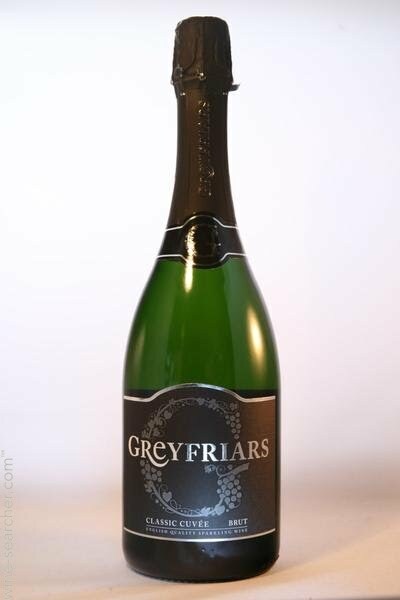 It has a slight undiluted blackcurrant cordial taste to it and quite light in body. Perfectly drinkable if you chill it slightly, but don't treat it as a normal red wine. 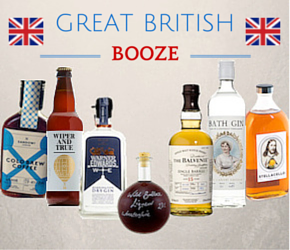 There are many different places where you can get 'de-alcoholised wines'. 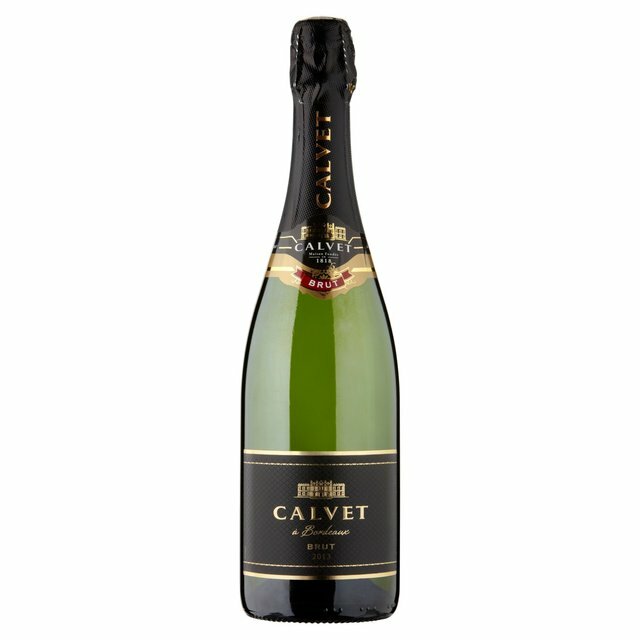 Not only are there specialist websites that you can peruse to see what percentage-less bottles you desire (a couple of the best ones are www.lono.co.uk or www.alcoholfree.co.uk), but you can easily wander into your local supermarket and get a good selection of products for you to choose from. Next week, I'll give you a run-down on some alcohol free lagers that can hopefully tame the raging beer beast inside you.